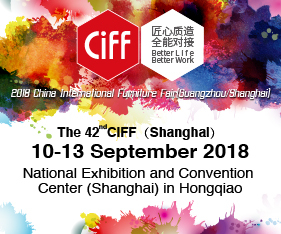 From September 11th to 14th, Swedish Wood participated in the Furniture Manufacturing & Supply fair (FMC) at Shanghai New International Expo Center along with representatives from nine Swedish sawmill companies and one Swedish timber trading company. The fair gave a good opportunity for the Swedish companies to meet both new and old customers from all parts of China. 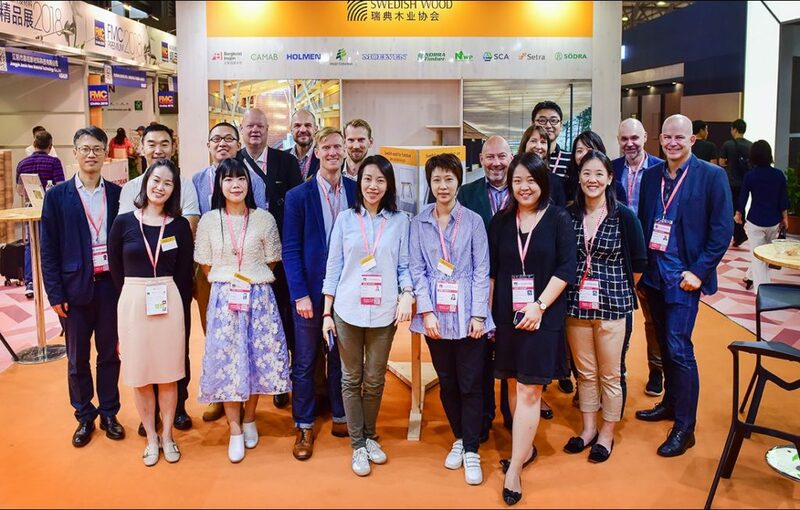 China is a highly interesting growth market for Swedish sawn wood products, and the trade organization Swedish Wood has been working actively since 2013 to support Swedish sawmill companies in the Chinese market. In 2013 Sweden exported 400,000 cubic metres of sawn timber products to China, three times more than in the previous year. In 2017 exports from Sweden to China set a new record at around 920,000 cubic metres or 1,7 billion SEK (USD 190 million). China has been a priority for Swedish Wood for a number of years and is one of the largest Swedish export markets for softwood. About 85 per cent of the softwood exported from Sweden to China is spruce, but Chinese manufacturing industry is also showing increasing interest Swedish sawn pine. The furniture industry is the main user of Swedish timber in China, and Swedish Wood has therefore conducted information and inspiration projects aimed at this industry for the last 5 years. Another interesting market segment for Swedish timber is the Chinese treated wood industry, which is treating wood for outdoor use. Swedish Wood will therefore participate, together with representatives from Swedish sawmill companies, in the annual wood protection industry conference on November the 24-26th 2018 in the Fujian Province. It will give Swedish sawmills the opportunity to create or deepen their contacts with the Chinese treated wood industry, says Charlotte Dedye Apelgren, Director Interior & Design at Swedish Wood. The Swedish Wood booth at FMC displayed furniture in Swedish pine by Swedish and Chinese designers, as well as samples of Swedish sawn pine and spruce, including samples of different surface treatments. The visitors also had the opportunity to see and feel samples of joints and products made in Swedish timber. The following companies were represented in Swedish Wood’s booth: Bergkvist-Insjön, Campanello & Co (timber trading), Holmen Timber, Martinsons, Moelven, Norra Timber, Norrskog Wood Products (NWP), SCA Wood, Setra Group and Södra.